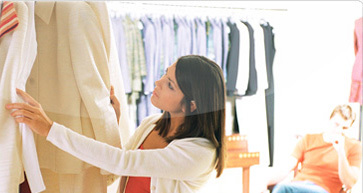 Our apparel POS software solution is a good fit for the specialty apparel retail marketplace. Any small business owner in the specialty apparel arena continuously faces challenges to keep abreast with their larger retail counterparts. Competition is tough and there are too many disparate systems to handle and control. In the meantime, you are constantly trying to generate additional revenues and sales for your store and make the most of your in-store retail system. Apparel retailers need a POS solution that is affordable, easy-to-implement, flexible, and grows with your business as you become more profitable. Specialty apparel POS is designed to help you future-proof your operation, improve business processes, become profitable and minimize costs related to implementing new systems as you grow and expand your business. The ability to gather needed information for planning future marketing and merchandising activities — an essential tool in the world of apparel. Tools to optimize your merchandising environment by taking the guess-work out of the decision-making process. A point-of-sale and inventory management system that will increase efficiency and reduce costs as you make better decisions by leveraging integrated reporting and analysis tools.